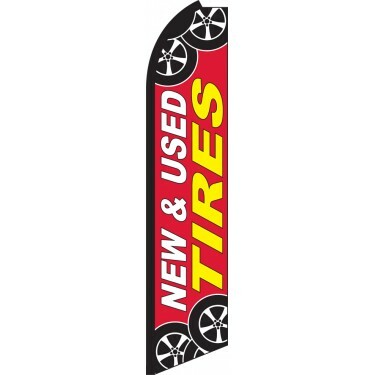 Our New & Used Tires Swooper Feather Flag features the words "New & Used Tires" emblazoned in large yellow and white letters upon a vibrant red background. 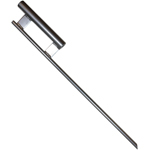 This is sandwiched between two tire motifs, which enhance the overall visual appeal of the flag. 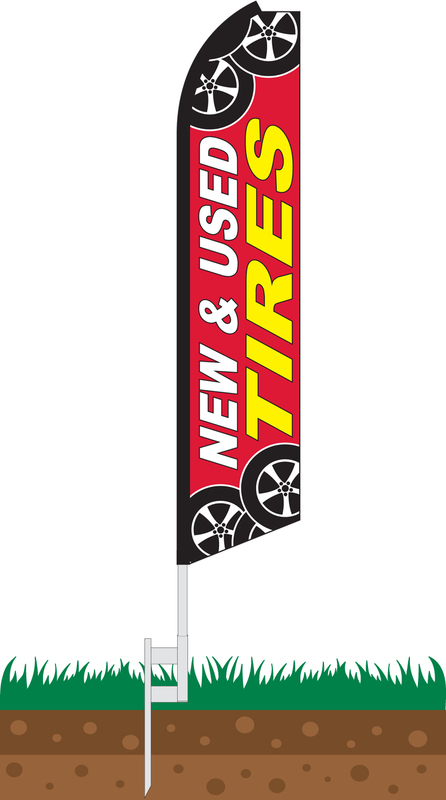 This flag is ideal for tire stores, service centers, and auto-repair shops who are looking to promote discounted new and used tires. 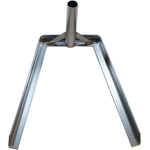 The flag can be displayed in an array of different locations including directly in front of the service center, along the roadside, at trade shows, and much more. 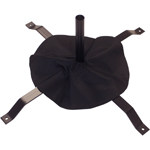 If you want to generate buzz for your tire business, this is the perfect flag for you.